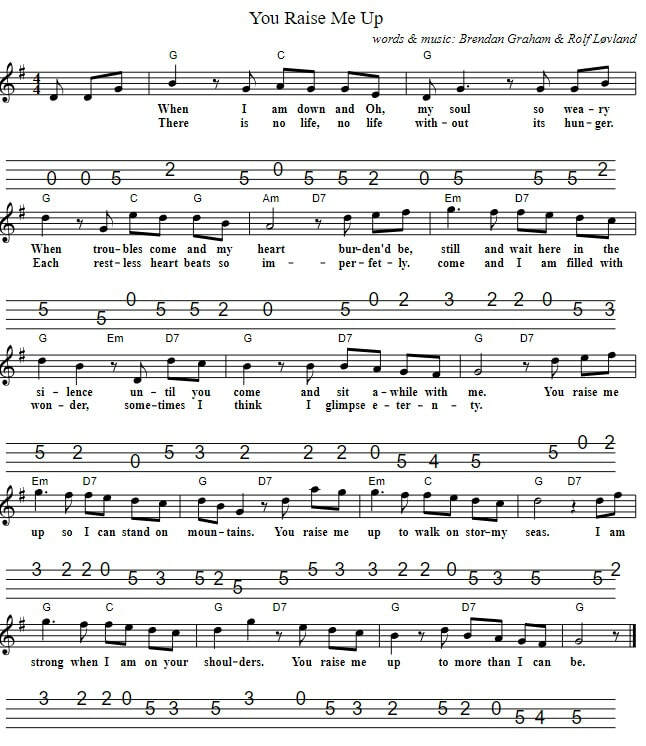 You Raise Me Up Tenor Banjo / Mandolin sheet music. I have given two versions of the sheet music. The first version in G Major and the music letter notes below it match. There's also a version in what I'd call ''Low D''. This song was written with just one verse and a corus. There's a key change after the chorus which I don't give here. You have all the notes you'll need to play the song and make a good job without the key change. Below are the basic easy to play music notes.